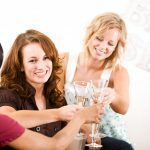 Today our reader is struggling with the often-asked question of who should be invited to a Bridal Shower. This one is a bit more complicated because the invitees in question are family members. I was reading your article on the Huffington post site about who should be invited to a bridal shower. One of the points states that aunts and cousins should or could be invited. The next point states that if people are not invited to the wedding they should not be invited to the shower. My question is this: if aunts and cousins are not invited to the wedding should they be invited to the shower? Our situation is that the bride has very large families on both her mom and dad’s sides. At this point it seems that several aunts and cousins WILL NOT be invited to the wedding. I am trying to be proactive in what could be a sticky situation for us. I can understand your confusion, but it’s simple to clear up. From an etiquette point of view you should never invite someone to a pre-wedding event (such as a bridal shower) that is not invited to the wedding. Since a bridal shower by its nature is a gift giving event, anyone that is not invited to the wedding should NOT be invited to the shower. It is considered rude to basically ask someone to buy a gift for the couple, but not invite them to the wedding celebration. With very few exceptions, shower guests are always wedding guests. When I wrote that aunts and cousins should be invited to the bridal shower, I assumed that as family members, they would also be invited to the wedding. If you have a very large extended family and are not able to invite them all to the wedding, it would be insulting to invite them to just the wedding shower. 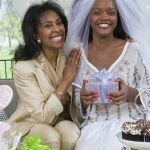 These instances of family members being left off the guest list are becoming more frequent, as the current trend in wedding planning is very “venue centric.” Many couples are putting more importance on the look and feel of the wedding venue, and using the venue’s capacity to determine the guest list. And I get it: maybe the bride has always dreamed of having her wedding at a unique location that only accommodates a small number of guests. However, I recommend that couples compile the guest list first, and then pick a venue that can accommodate the estimated number of guests. Years from now they may realize that the most important part of the wedding is sharing the day with family and friends. You are using good judgement in trying to be proactive. When the wedding guest list is finalized, it would be a good idea for a family member to speak to anyone that might be expecting a wedding invitation, but will not receive one, explaining why the numbers must be limited. This can help to reduce or smooth over hurt feelings. It may not eliminate them entirely, but at least it won’t be a surprise. 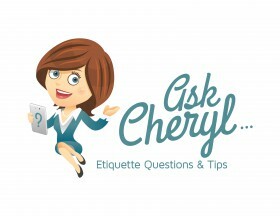 One Response to Ask Cheryl: Aunts & Cousins Not Invited to the Bridal Shower?